ASK THIS OLD HOUSE: Rooftop Garden — Nawada Landscape Design, Inc. This Ask This Old house segment conveys the potential to grow food in abundance in urban areas. Jessie Banhazl, the CEO and Founder of Green City Growers demonstrates how roof tops offer opportunity for urban agriculture. She points out how the vast, unused open spaces that are ideal for growing produce, make rooftop farming an attractive solution to feed growing urban populations now and in the future. 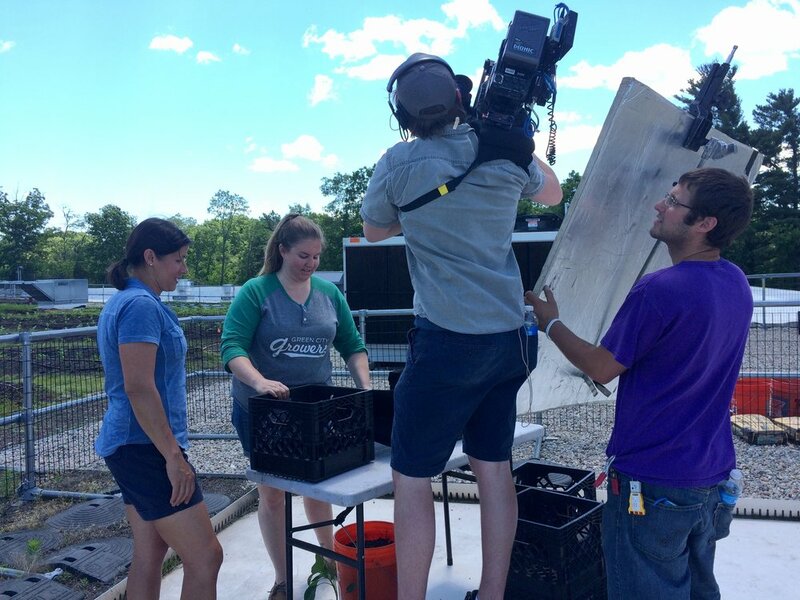 Located on the rooftop of Wholefoods in Lynnfield, MA sits a 17,000 square foot urban farm that produces 5,000 to 7,000 pounds of organically grown produce per year. The garden utilizes drip irrigation to conserve water and deliver it directly to the roots of each plant. The segment also discusses how to create a small-scale urban farm using milk crates and galvanized troughs for container gardening when space is limited.